This Expert Guide gives you the techniques and technologies in software engineering to optimally design and implement your embedded system. 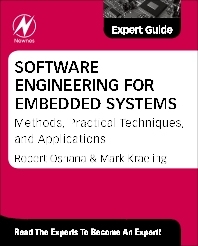 Written by experts with a solutions focus, this encyclopedic reference gives you an indispensable aid to tackling the day-to-day problems when using software engineering methods to develop your embedded systems. Frank Schirrmeister, Shelly Gretlein, Bruce Douglass, Erich Styger, Gary Stringham, Jean Labrosse, Jim Trudeau, Mike Brogioli, Mark Pitchford, Catalin Dan Udma, Markus Levy, Pete Wilson, Whit Waldo, Inga Harris, Xinxin Yang, Srinivasa Addepalli, Andrew McKay, Mark Kraeling and Robert Oshana. When and why should you model your embedded system? What is a modeling language? So, why would you want to model your embedded system? When should you model your embedded system? So – modeling is great, but aren’t all models wrong? You have your prototype – now what? Next steps – try it! Why does software reuse matter? Data structures, arrays of data structures, and adding it all up! What’s special about embedded systems? Can agile methods help you adhere to standards? 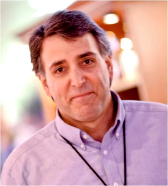 Rob Oshana is Vice President of Software Engineering R&D for the Microcontroller and Microprocessor business line at NXP, responsible for software enablement, IoT connectivity, software middleware and security, operating systems, machine learning, software services and advanced technologies. He serves on multiple industry advisory boards and is a recognized international speaker. He has published numerous books and articles on software engineering and embedded systems. He is also an adjunct professor at the University of Texas and Southern Methodist University and is a Senior Member of IEEE.